Just click the photos to go to the tutorials for each! 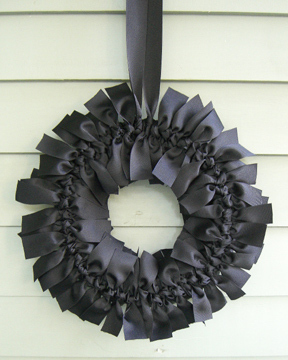 This black ribbon wreath would be wicked easy to make and has a perfect Gothic feel! Customize it with different colors of ribbon or textures. Imagine how cute it’d be in velvet! Eyeballs! This wreath is eye-catching (ha ha ha). You can find rubber bouncy ball eyeballs this time of year at dollar shops in bags or even hollow plastic ones! I love the idea of this tattered cloth scrap wreath. Add some tea staining here and there to give it a real antique or rotting feel. Or splatter some red acrylic paint to mimic blood! 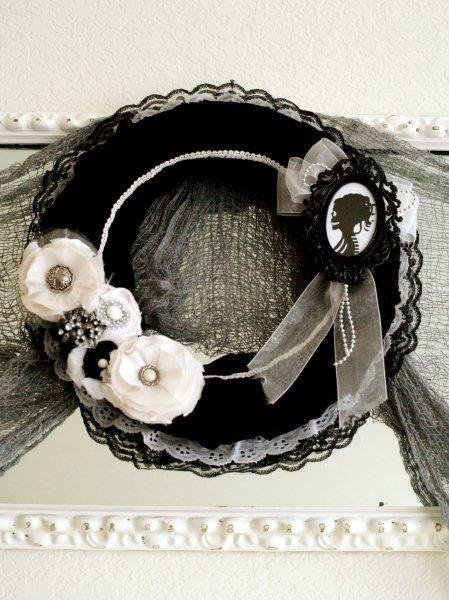 This fancy wreath would look great year round! Customize it to your taste with your own scrap fabrics, laces, and details. The cameo with the skull silhouette is adorable also! 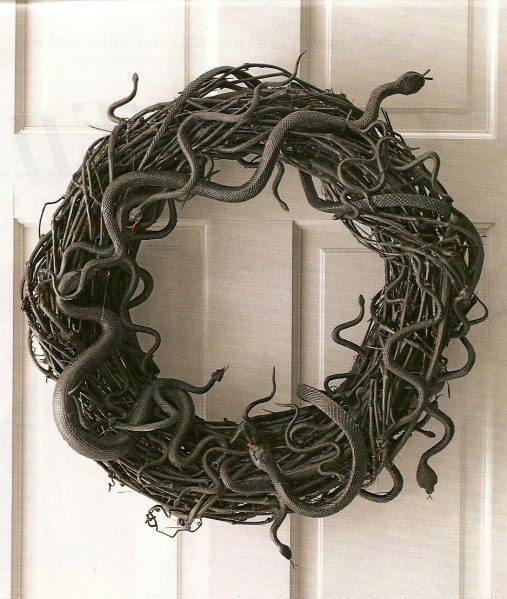 The snake concept here is a little boring but this wreath could easily be packed full of different rubber bugs or bats for a more interesting style!